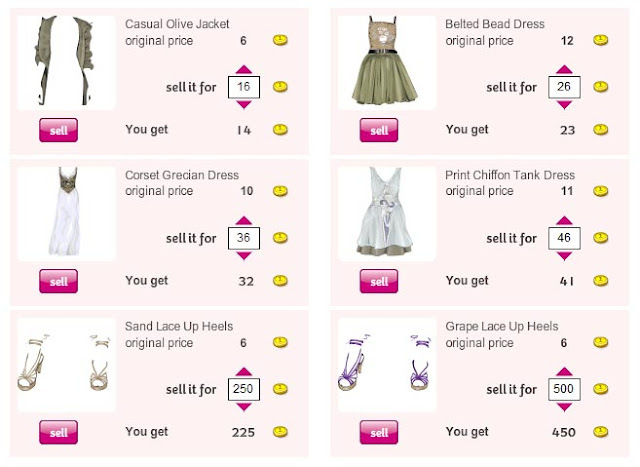 Im sure youve all seen the 'new' starbazaar stardoll has planted upon us with the skyhigh price system. On a good note people can sell there 'rare items' easier and no need for scamming. Also, the tab is faster haha. Now the bad news is they changed how much they can take from our business that we pay for! They add 1sd for every 10sd past 15sd. Personally, i think this system should start after the 60sd because that's how the original starbazaar was, so 1sd up to 60sd then start taking whatever stardollars they want after that amount. Yes it may be beneficial to some people to sell things for more money but in the end it may be more beneficial to stardoll. Anyone disagree? I'd just like to share my opinion, Sopy, but because Stardoll chaged the system of StarBazzar, more people will sell worthless items for high prices and Stardoll gets more money out of it. So basically, they're doing it for the money. But the good thing is this will make no more trading,so no scamming. Im sorry I meant Sophy not Sopy. Hi, i do agree that stardoll should only start charging after 60sd. As soon as the way u can sell was changed people started putting crazy prices on their items! i went to one starbazaar n the person was selling even little freebies for 500sd!